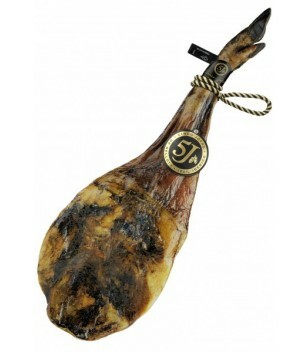 Iberian pure shoulder ham of acorn 5 Jotas, handcrafted by Sánchez Romero Carvajal. 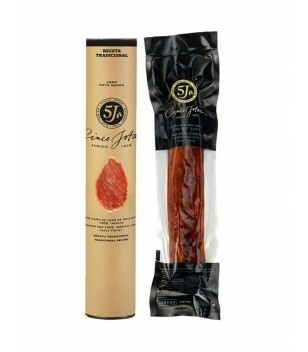 It is one of the most prestigious brands in our country, and highly recommended as a gift for those who love Spanish Ham. 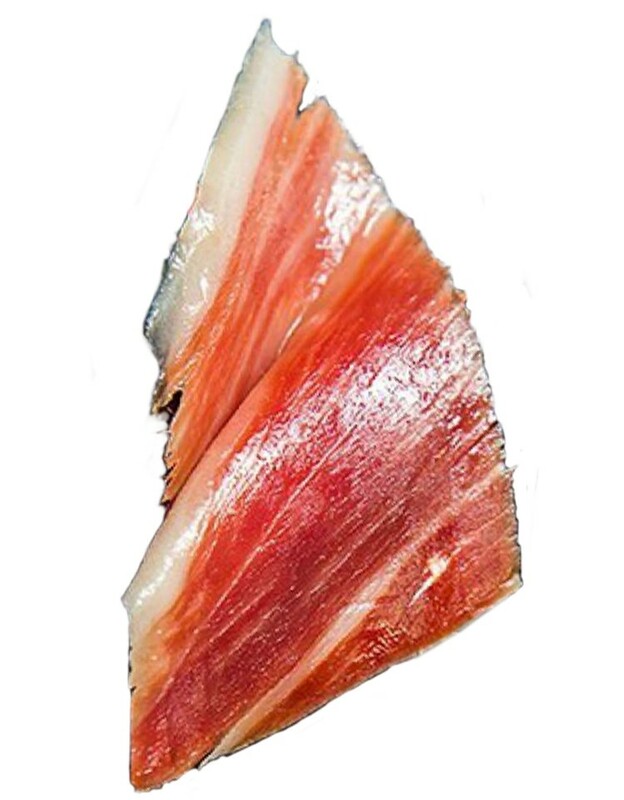 Like the Spanish cebo ham, these shoulders stem from Iberian pigs, which have been fed with cereal fodder. 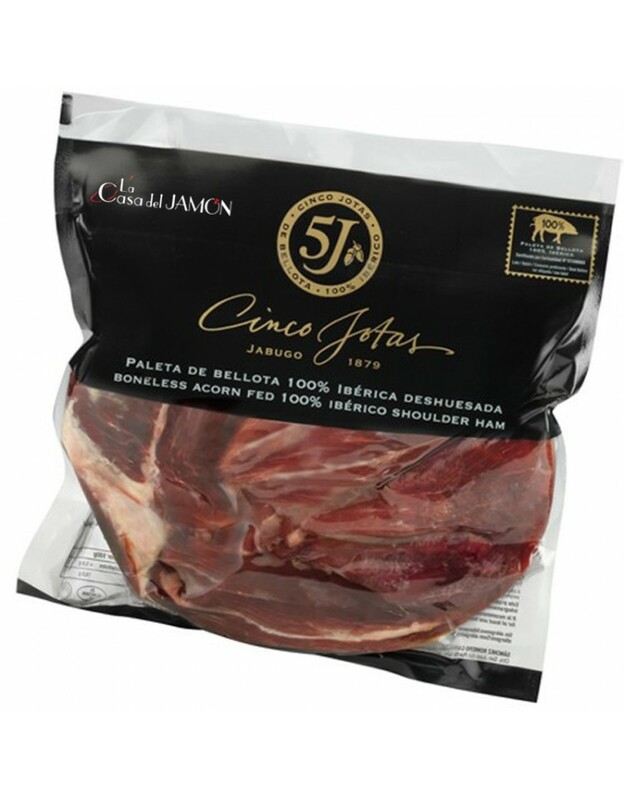 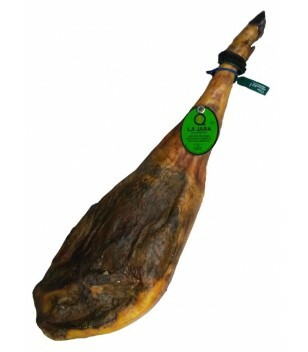 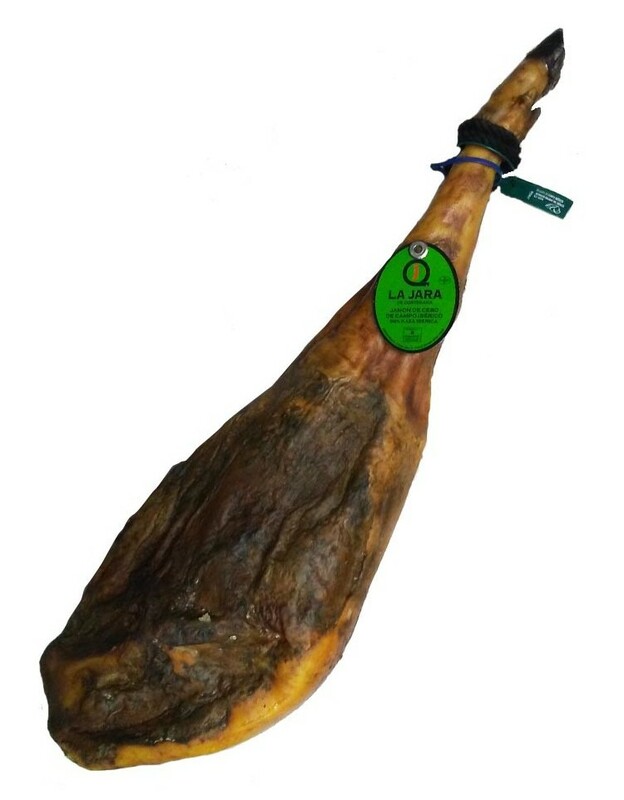 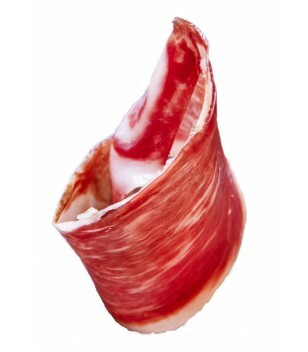 Iberian pure shoulder ham of acorn, brand Lazo, manufactured in Cortegana - Jabugo (Huelva). 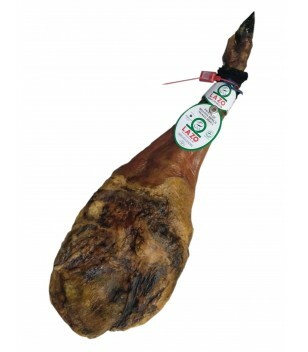 75% Iberian pure shoulder Ham of acorn, brand Lazo. 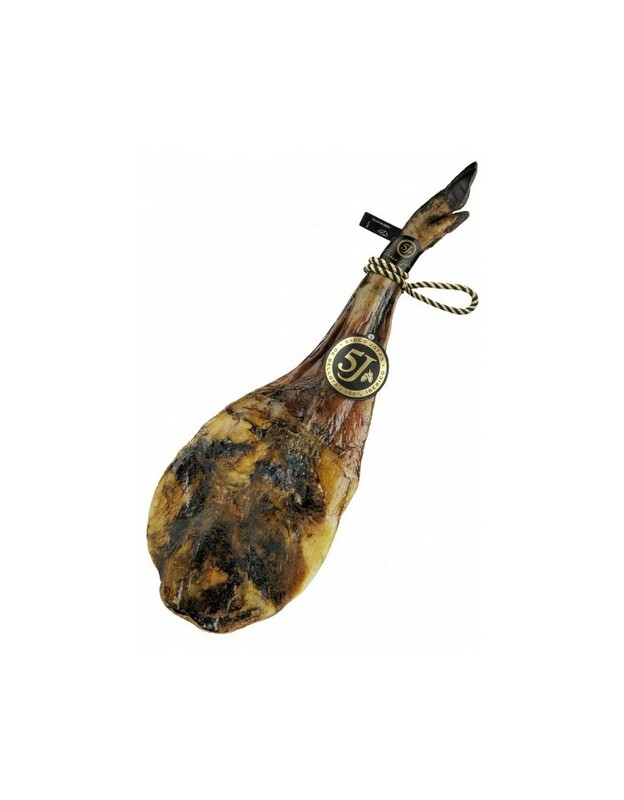 Acorn Iberian ham 5 Jotas Cinco Jotas Sánchez Romero Carvajal handmade cut on our facilities. 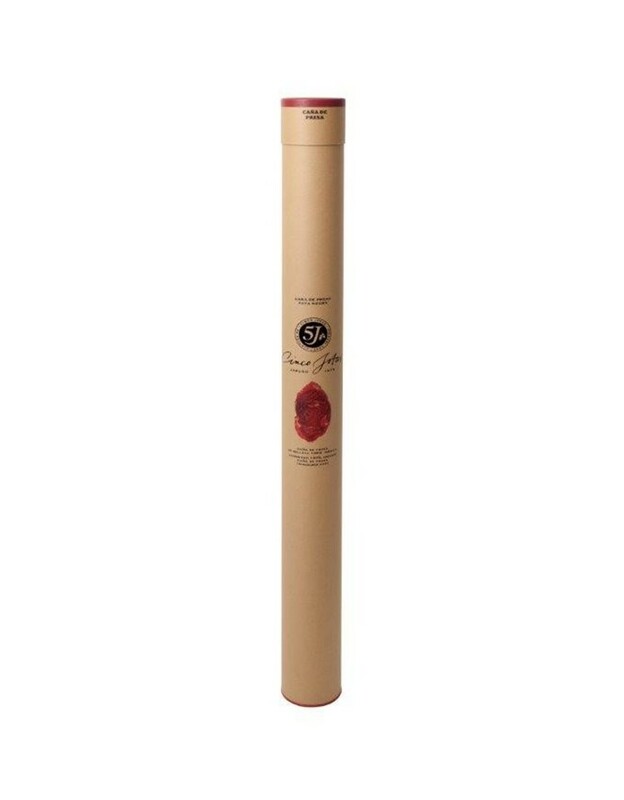 Buy an iberian bellota palette is synonymous of great quality. 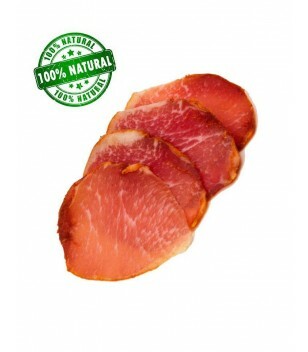 As hams bait, these pallets are from Iberian pigs raised in semi-extensive, with feeding of feed grains. 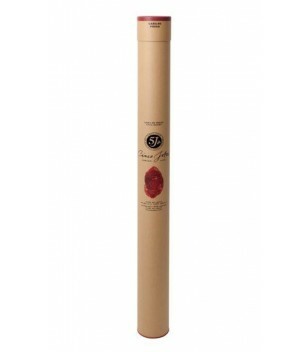 Pallets Kiln one year and a minimum of another year in the cellars. 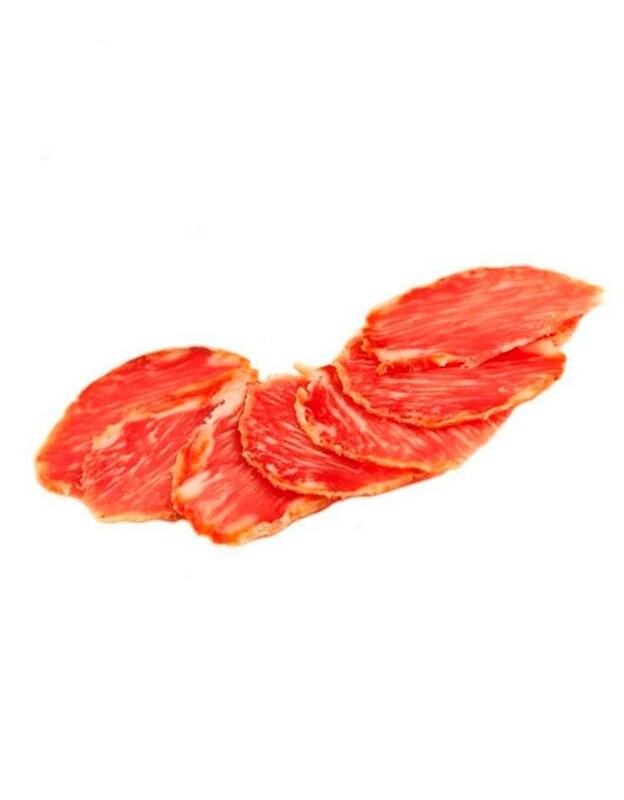 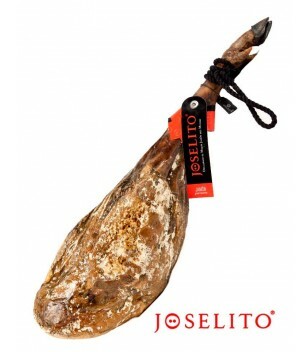 Lomo Bellota Joselito sliced. 100% natural. 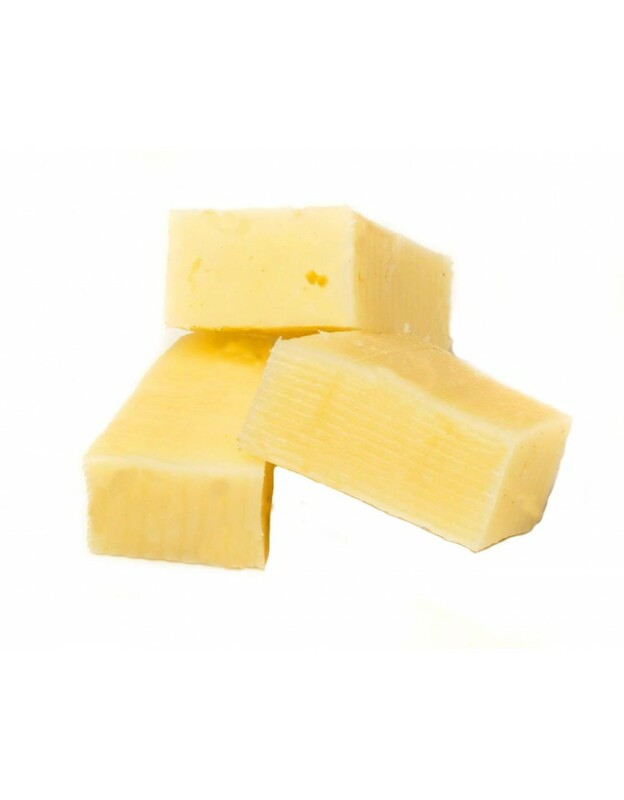 No preservatives or artificial colourings. 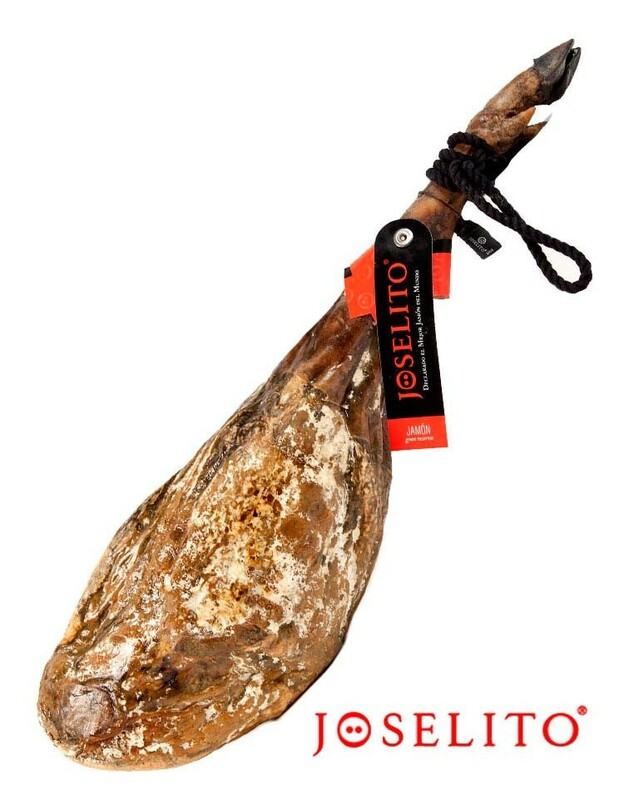 Cut is characterized by variations in hues from purple deep red to pale pink with large infiltration of fat pigs reared in extensive. 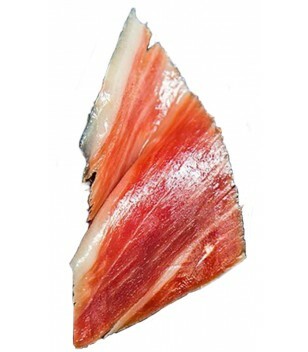 Cured sheep's cheese "La Orden"
1/2 Cured Sheep's cheese "La Orden"
Pure sheep cheese cut in small pieces by hand, at the time you place your order, by our specialized staff. 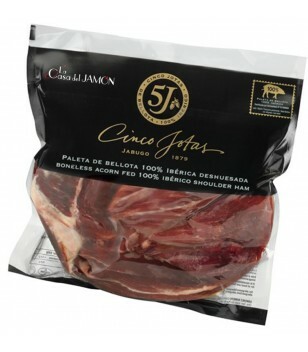 Vacuum packaging envelopes 100 or 200 grams ready to open and serve. 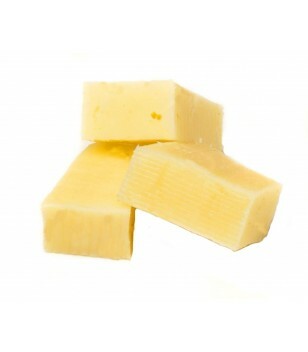 Halfpiece of Quevilsa Aged sheep´s cheese. 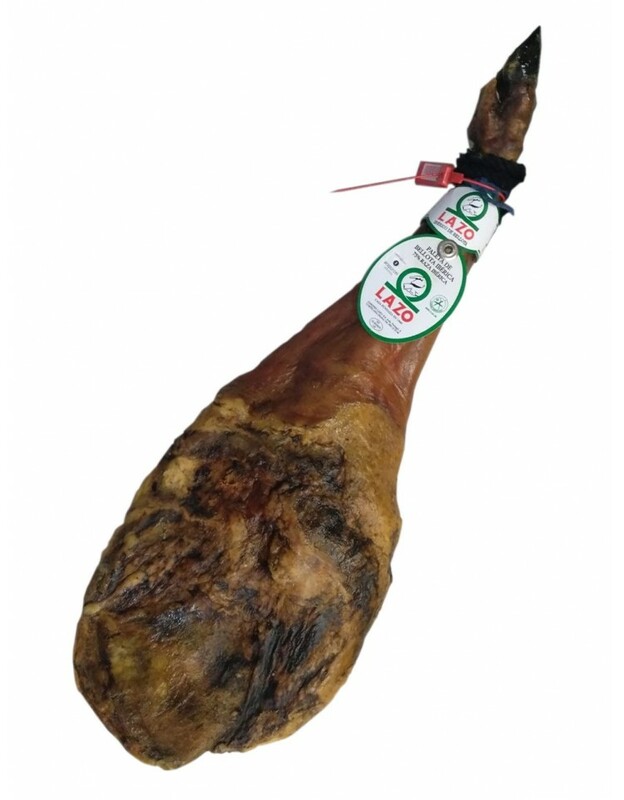 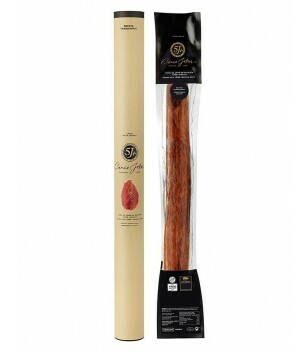 Online shop selling Acorn Iberian Ham, cheeses, sausages, gourmet products and wines, with more than 20 years of experience in the sector. 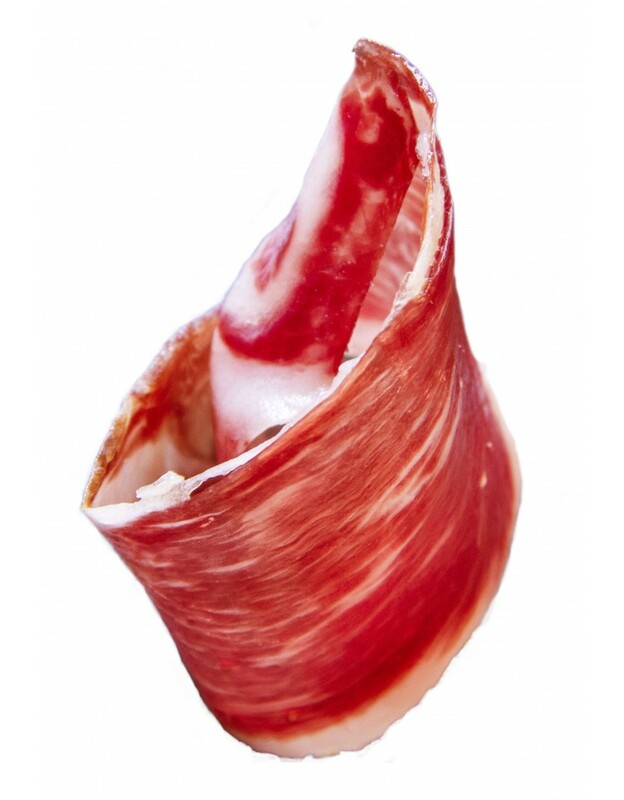 Buying Iberian acorn ham has never been so easy. 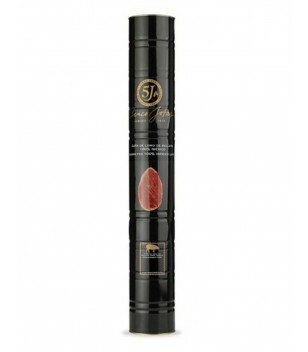 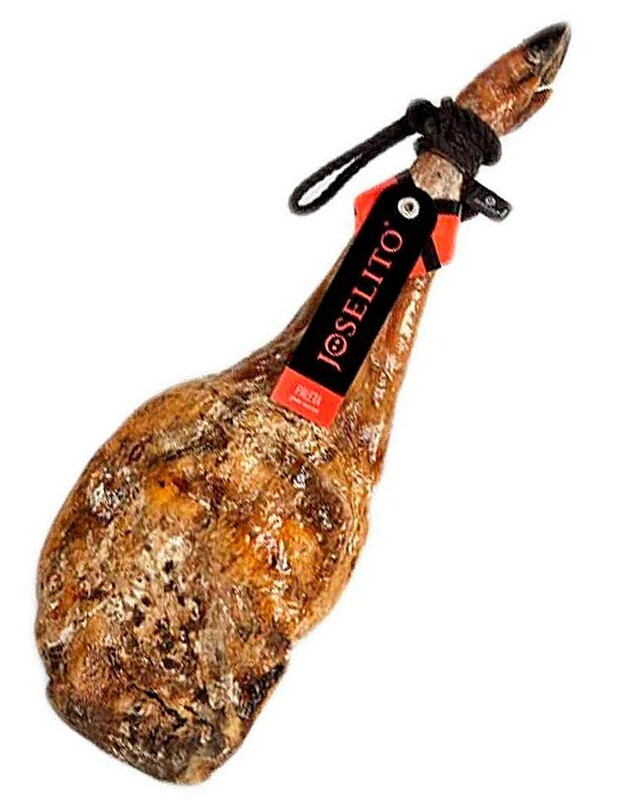 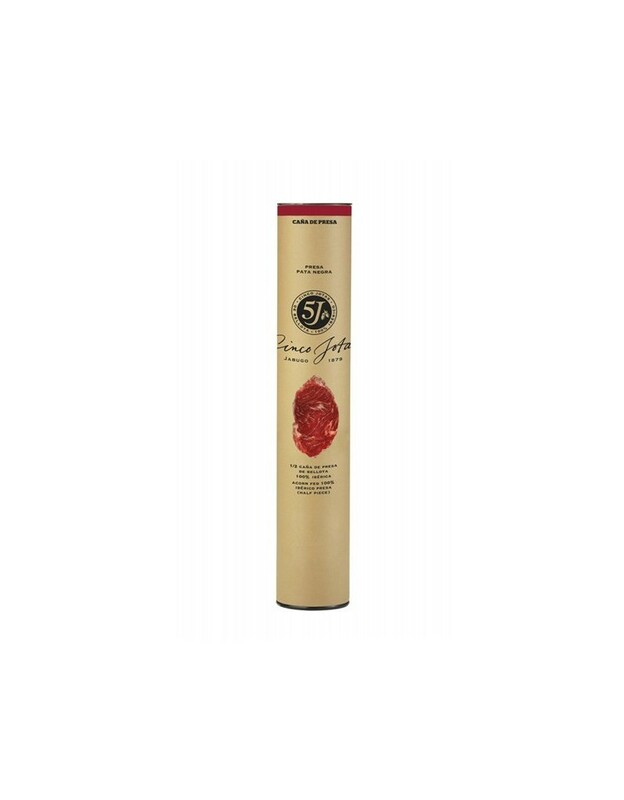 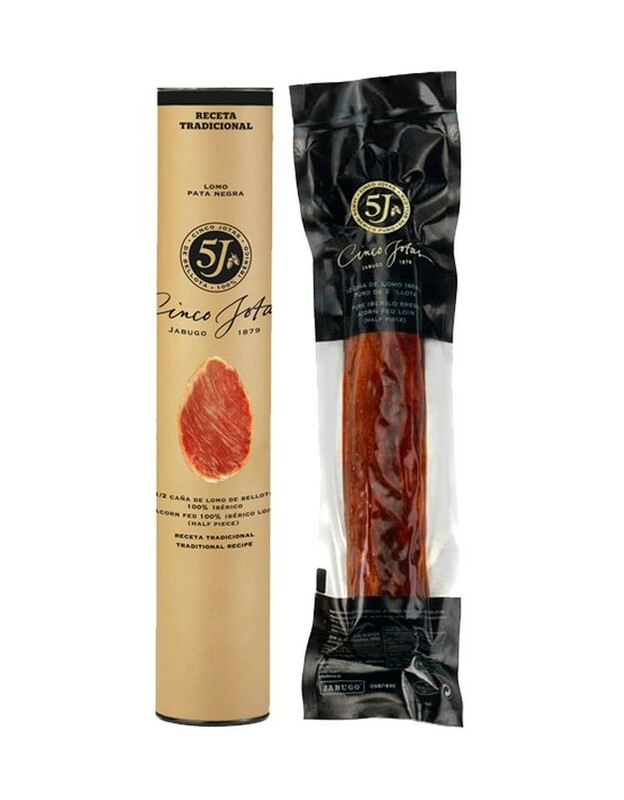 We have the desired and prestigious Iberian Ham 5 Jotas and the best ham in the world, the ham Joselito de Guijuelo. 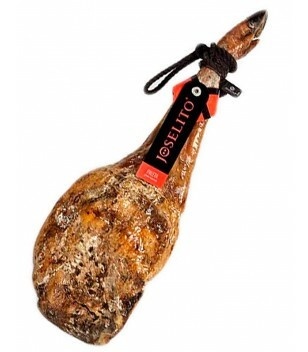 If you want to surprise with a good gift, what better than giving a good ham.